Robert Crichton, no relation to the Jurassic Park Climate Warming disbeliever, his novel “The Secret of Santa Vittoria” would hold onto the number one spot for twelve weeks. Allen Dury would continue his string of best sellers with “Capable Honor”, but it would never take the top spot. “Valley of the Dolls” is probably the most well known of the books on this list and has gone on to sell over thirty-one million copies. It was the best selling book of 1966. Dame Rebecca West isn’t a household name anymore, but back then she was the author of eight novels and was best know for her coverage of the Nuremberg Trials. Edwin O’Connor is credited with giving us the expression “the last hurrah” and won the Pulitzer for Fiction in 1962. “All in the Family” was his last novel published in his lifetime. “The Captain” was a sequel to “Captain Jan” written in 1940, it would go on to sell a million copies in the United States alone. “The Fixer” would win both a National Book Award and a Pulitzer Prize for fiction. It would also go on to be a banned book and Supreme Court Case in 1982, which would reinstate the book in New York. “Waiting for Winter” was a collection of short stories by the author of “Appointment In Samarra” and “Butterfield 8”. “Tai-Pan” is part of a trilogy of books by James Clavell. 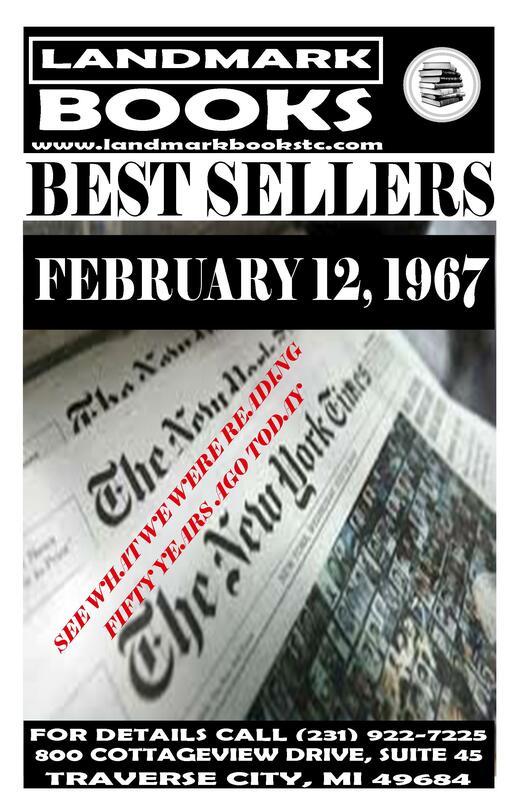 It has sold eight million copies since 1965. Hope you’ve enjoyed this walk down memory lane, maybe this will inspire you to look back at some of the best sellers of the past.